Ricky Stenhouse Jr. will not be getting many Christmas cards this December. 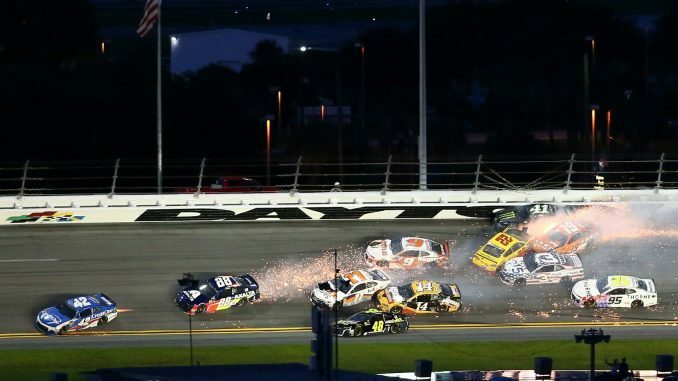 The Roush-Fenway Racing driver didn’t make many friends Saturday night during the Monster Energy NASCAR Cup series Coke Zero Sugar 400 after being the spark that touched off two multi-car crashes. Stenhouse came into Daytona as the defending winner of the race having won here last July, his first career Cup win. That race however was tame compared to the carnage that that was left in his wake Saturday night. Showing aggressiveness early, the first crash erupted on lap 54 when Brad Keselowski was spun after contact from Stenhouse near the front of the field. A total of 25 cars were swept up with several, including Keselowski done for the night. Less than 10 laps later, Stenhouse made contact with Kyle Busch as the two dueled for second place. Busch was sent up and into the turn 4 wall sweeping up then-leader Byron in the process; needless to say, the never-at-a-loss-for-words Busch wasn’t exactly overjoyed at ending his night in the garage. The normally squeaky-clean Byron was also a bit upset. Stenhouse would go on to lead a race high 51 laps but lost out on his chance to win when late in the going he made contact with Kyle Larson which caused a tire rub. A few laps later a rear tire on Stenhouse’s Ford exploded sending him spinning coming off turn 4 and sliding across the infield grass, much to the delight of the fans who roared with approval. 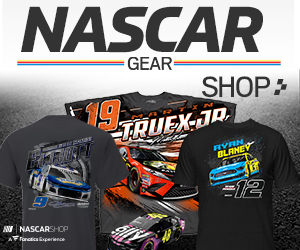 Stenhouse would finish 17th. After the race, perhaps with the jeers from fans still ringing in his ears, Stenhouse took some responsibility. Like Keselowski, he also put some of the blame for the first crash on Byron’s blocking, but said he understood why. As for the second crash Stenhouse admitted fault. At the conclusion of his ‘bummer of a night’ Stenhouse was escorted from the track by local police officers. Like most of the other drivers, it wasn’t long before Stenhouse disappeared into the night on a private plane heading home. No issues were reported with his aircraft.